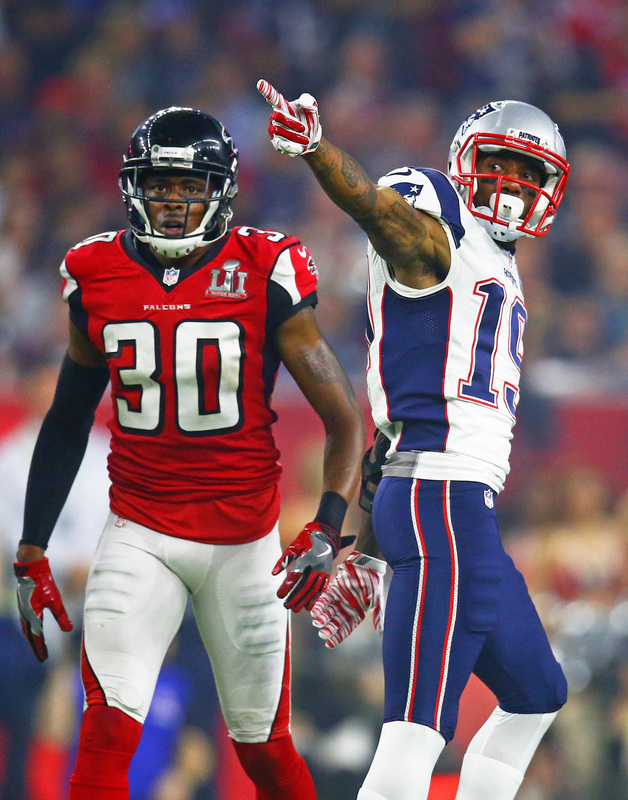 Malcolm Mitchell is calling it a career. The 25-year-old wideout announced atTedxUGA (via RedandBlack.com) that he’s decided to retire. The former Georgia standout joined the Patriots as a fourth-round pick during the 2016 draft. He proceeded to appear in 14 games (six starts) that season, hauling in 32 receptions for 401 yards and four touchdowns. He was also a standout during Super Bowl LI, catching six passes for 70 yards. During that monumental comeback victory, Mitchell snared five fourth-quarter receptions, four of which going for first downs. But injuries did not allow him to build on that standout performance. Mitchell missed the entire 2017 season after suffering a knee injury and underwent a knee procedure last July. The Patriots ultimately waived him in August, and the receiver hadn’t generated much interest since being a free agent. WHEN YOU ARE A NOBODY 4TH ROUND PICK, DOES IT REALLY MATTER? HE WILL PROBABLY TAKE A YEAR OR TWO OFF AND TRY IT AGAIN. HOPE HE GRADUATED COLLEGE! wtf lol?!? !…did Malcom steal your girlfriend or something?! How is he a nobody if he made NFL and is a Super Bowl Champion and made Millions of dollars. Something most people never do. Career earnings of just under $1.8 million dollars, per spotrac. On the other hand, a guy who so clearly helped his team win a Super Bowl is no nobody. I wish I was a nobody with a Superbowl Ring and earnings of $1,791,691 in 3 years when I was 25 years old. Oops! Sorry that I missed your comment. That’s too bad, he showed a lot of promise starting out. Just couldn’t stay healthy to build on it. I always known his career wouldn’t last long. Surprise it lasted this long. He was injury prone in college too. He’s not suing the medical staff and it does not involved the legal system. You should know what you are talking about before spewing non sense. He filed a grievance for the designation in which he was waived. There is a HUGE difference.